Original Equipment Manufacturer (OEM) MAN Automotive South Africa (locally representing both VW and MAN heavy commercial vehicle brands) has recently demonstrated the overarching value that can be derived through establishing cross-market partnerships, specifically in the telematics industry. 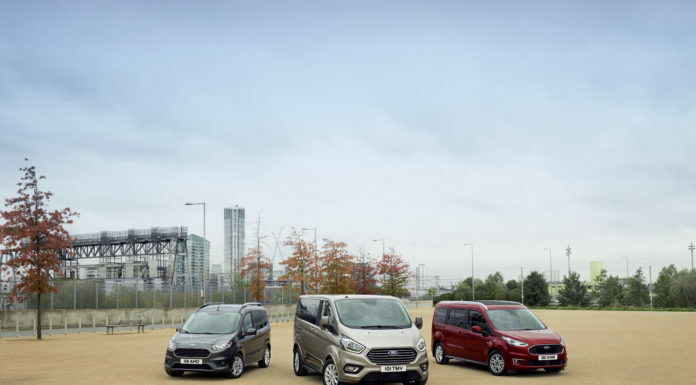 As a business that supplies high-quality vehicles to fleet managers operating across the commercial spectrum, MAN hasn’t traditionally been involved in the end-customer’s use of telematics (the data received from tracking devices within vehicles which monitors and reports on vehicle and driver performance) systems. Purchasers of MAN and VW vehicles have made use of a variety of different telematics and fleet management systems, and this OEM originally only used fleet management systems to track stock vehicles for Stolen Vehicle Recovery (SVR) and insurance purposes. In 2015, this paradigm changed. A partnership with leading fleet management, insurance telematics and vehicle recovery solutions provider Cartrack, has seen advanced telematics technology become part of the MAN chassis production process and extended business solution model. The move has boosted MAN Truck SA’s business by offering new value to end-users. Today, MAN offers fleet management systems to customers as an essential part of the vehicle purchase, resulting in customers acquiring a lot more than a truck. Included in their purchase are crucial telematics business support services such as MAN ServiceCare SA and MAN TeleMatics SA. 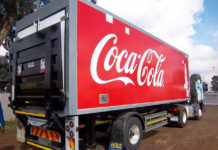 These solutions support MAN’s philosophy of delivering appropriate fleet solutions to companies operating in the unique Southern African context. Through partnering with a single telematics supplier from the vehicle assembly stage, MAN now gives customers access to a range of long-term benefits, thanks to the optimal use of information sent from the vehicle’s Controller Area Network (commonly known as the “CANbus”). “By building telematics into the construction of the vehicle and offering a single solution to clients, MAN has significantly decreased the potential fragmentation of vital information,” says Andre Ittmann, Cartrack SA CEO. MAN‘s other existing business solutions includes MAN TopUsed (trade-in/buy-back), MAN Finance, MAN Service (repair and maintenance) and MAN ProfiDrive (driver training). “When MAN sells a vehicle with MAN Service, the supporting offering is often a direct reason why the professional transporter chose the MAN brand in the first place. Customers experience the indirect benefits of these supporting solutions, which encourages repeat business. The addition of MAN ServiceCare SA and MAN TeleMatics® SA significantly improves this already successful business model, creating more value for end-users,” notes Ittmann. Fleet owners soon see the bottom-line benefits of a strong telematics system in their business metrics, including better fuel consumption and reduced maintenance costs, along with reduced downtime thanks to the fact that services aren’t missed and fast in-field assistance is always on call. “There are also a range of important performance aspects at play, including improved productivity from analysing fleet performance constraints, improved driver training and better driver behaviour with MAN ScoreCards, as well as improved trade-in values from meeting due service requirements. Collectively, these aspects improve the health, wellness and growth of the fleet manager’s business,” says Ittmann. 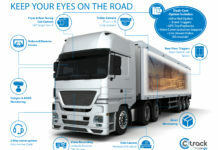 The MAN Team concurs, affirming these benefits.“In the past, telematics solutions often needed to be tailored to the individual customer, but the teamwork between our two organisations allows for an excellent response to a wide variety of customer requirements,” says Eren Gunduz, Head of Truck Sales at MAN Automotive SA. Since the launch of MAN ServiceCare SA and MAN TeleMatics SA in August 2015, over 1,000 MAN vehicles are now monitored by ServiceCare agents for proactive due service notifications. 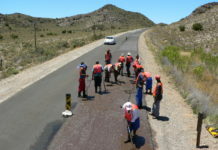 In addition to vehicle tracking, fleet management and MAN Reporting, these customers also enjoy the benefits of Stolen Vehicle Recovery and accurate, monthly cost per kilometre billing on repair and maintenance utilisation contracts. “Professional operators are providing extremely positive feedback on the management reports from the system, with the MAN Driver Score Card being a definite highlight. It contains important measures and metrics, but it is also simple to read and use for performance management purposes,” notes Ittmann. The MAN driver performance ScoreCard displays the metrics that allow the fleet manager to ensure economical and safe driving practices. In the case of repeatable operations and routes, fleet managers can also establish benchmark metrics against which drivers can be measured and incentivised. Linking traceability and SVR to the overall service gives drivers and fleet owners additional peace of mind, while telematics data also provides useful insights in terms of assessing the cause of accidents and assisting in insurance claims and associated accident investigations. “We expect the market to follow MAN’s lead and for these components to become a standard part of an OEM truck purchase in the near future,” adds Ittmann. “The success of MAN partnership with Cartrack offers insight into likely future business models in the trucking and transport space,” concludes Ittmann.